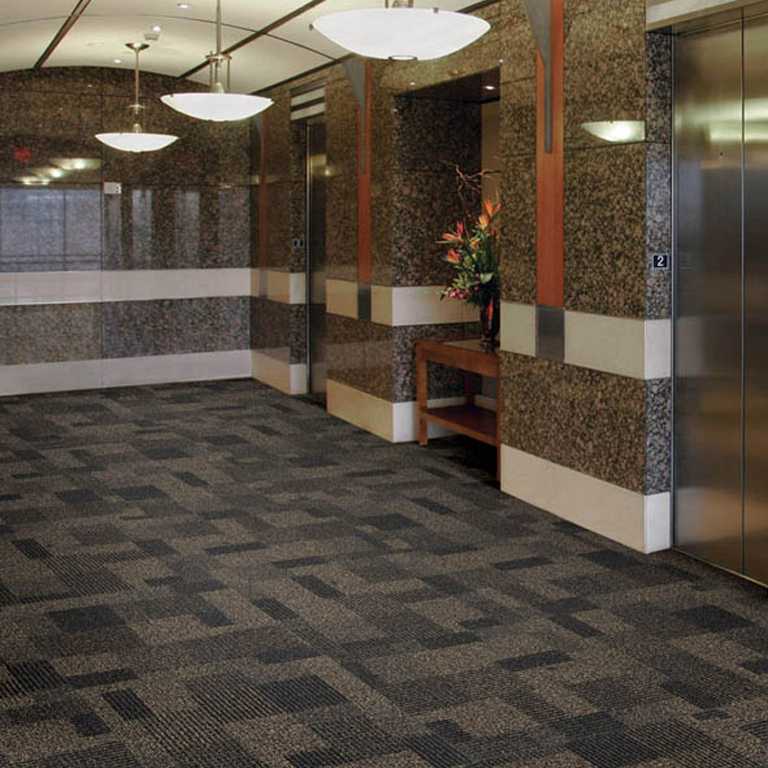 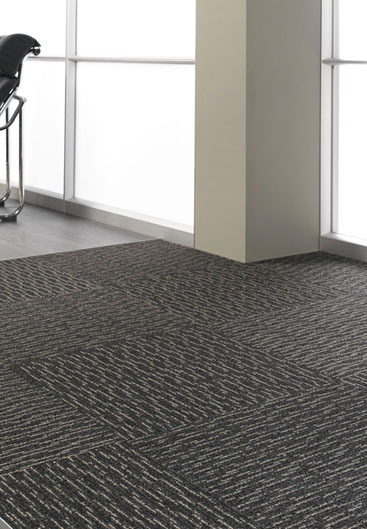 Commercial walk-off carpet tiles can enhance the beauty of entryways, lobby recessed areas, and elevators. 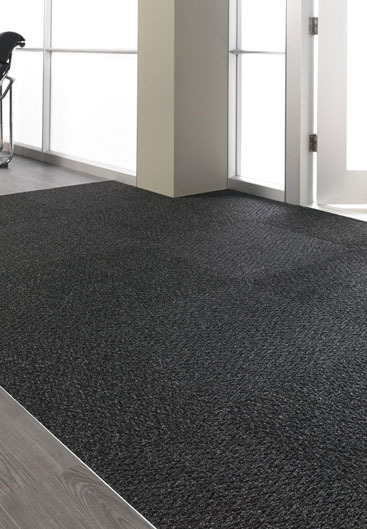 Engineered with coarse solution dyed fibers that scrape and remove dirt, debris and moisture from foot traffic. 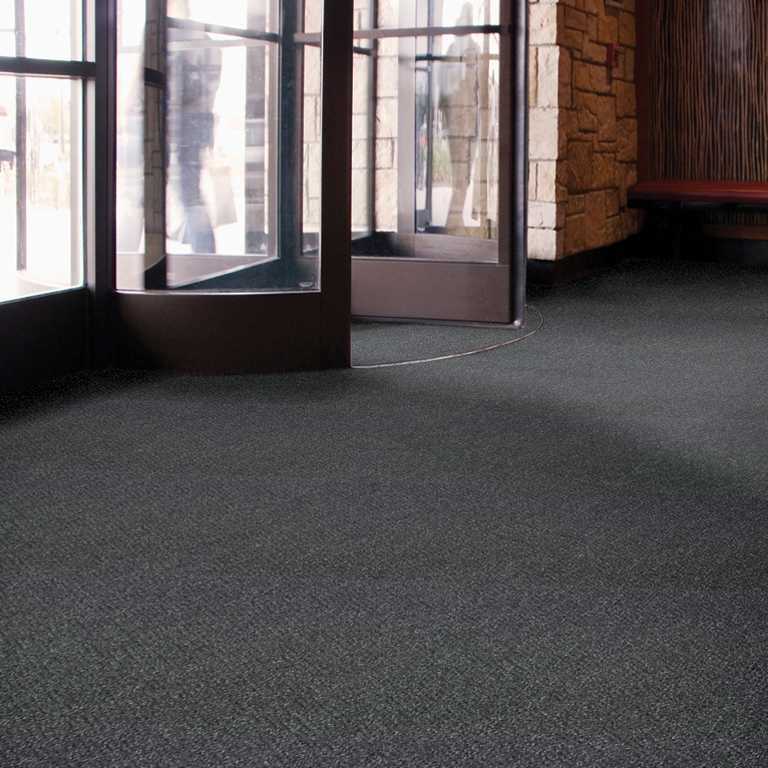 Walk-off flooring is designed for high traffic areas and resistant to fading when exposed to sunlight.